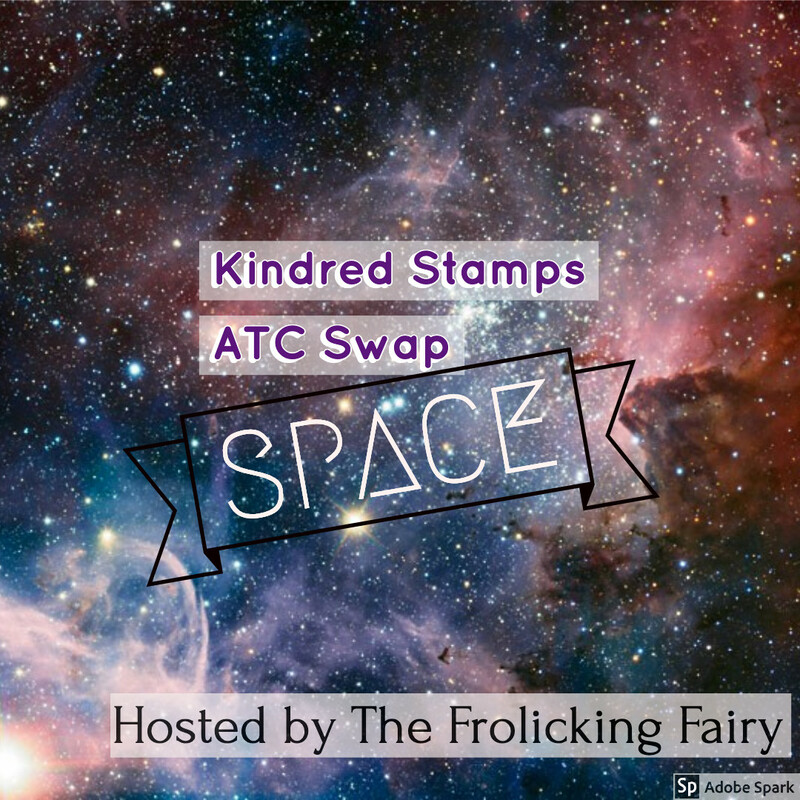 Welcome to the new ATC swap! This sign up form is for USA residents. If you are outside of the USA and want to participate, please allow 4 weeks for receipt of your cards. You must contact me via email as well as filling out this form to assure proper postage costs are determined and transferred to myself. This same swap is also being hosted by Dawn Lewis in Australia, and Judith Lunn in Europe. Please visit their sites for those specific locations. The focal image must be from Kindred Stamps, but you can include any other stamp company, any colour scheme, any technique you like as long as you stay within the Space theme. For all of the details, please read the blog post HERE . 5. Remember to either include postage for return in a standard envelope (1 regular First Class stamp AND 2-3 additional oz stamps - excess will be returned) AND $2 participation fee, OR $5 to cover host expense. PLEASE include your mailing address WITH your cards if you do not send a self-addressed envelope to make it easier for the host. When all swaps are received on the due date, I will swap, repack, and mail. Happy mail is not far away! You can find ATC swap FAQ's on my blog ... just CLICK HERE. If you have any questions before signing up, please email me with "Swap Question" in the subject line. I will get back to you ASAP with an answer; there are no silly questions! I am very excited to see your ATCs! Let's get crafty! Click here to agree to the terms of the swap, including submitting your completed swap by Friday, 29th March. Thank you!